As a medium of communication, the poster has a long history and a wide range of social functions, from selling a product to promoting a cause. Despite the rise of digital media, the print poster remains vital and, oftentimes, radical. Featuring over 80 rarely seen posters from Cooper Hewitt, Smithsonian Design Museum’s permanent collection, alongside loans from the Merrill C. Berman collection, How Posters Work demonstrates how some of the world’s most creative designers have employed and pushed the boundaries of two-dimensional design, harnessed the mechanics and psychology of perception, and mastered the art of storytelling to produce powerful forms of visual communication. Included is work not only by prominent designers such as Lucian Bernhard, Paul Rand, and Josef Müller-Brockmann but also by a large number of notable contemporary designers. The exhibition dissects design principles and their creative use by designers and underscores, too, the significance of the viewer in completing the design process. How Posters Work will be complemented by a presentation of work by nationally recognized Wisconsin graphic designers, including posters by Lois Ehlert and John Rieben and catalogues by John J. Reiss. Additionally, Sonnenzimmer, the Chicago-based, internationally known graphic art studio, has designed a limited-edition print, the identity for the exhibition, and graphic interventions as animations within the exhibition. 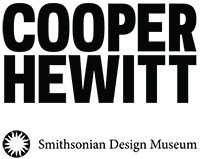 How Posters Work was organized by Cooper Hewitt, Smithsonian Design Museum.